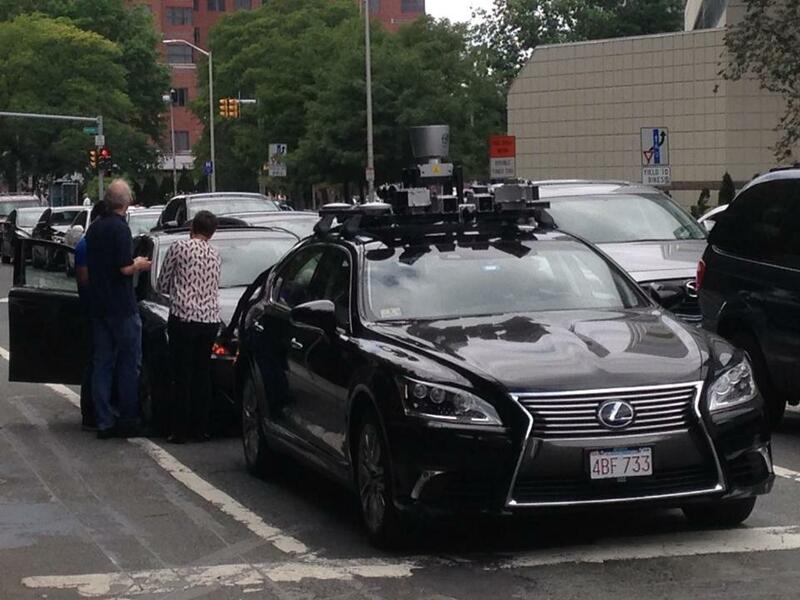 Was that Lexus in Kendall Square a self-driving car? All signs point to this Lexus being a prototype of a self-driving car. 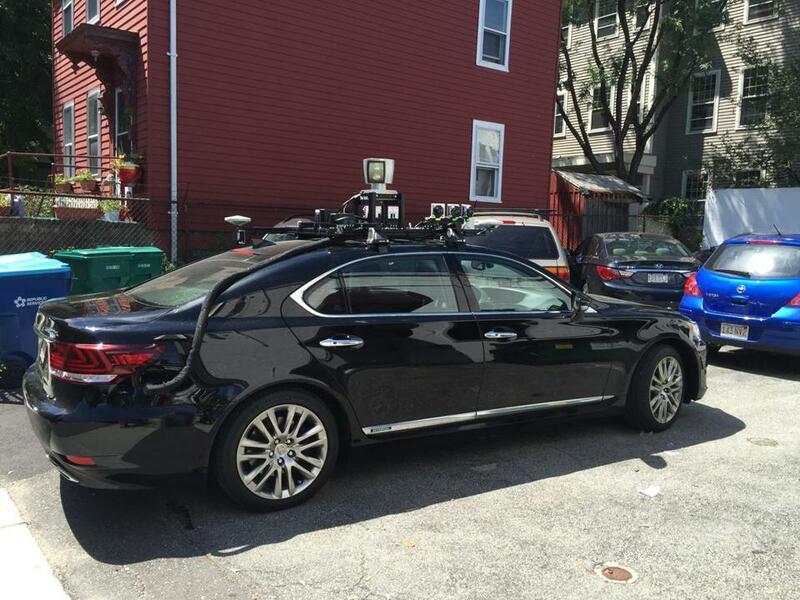 A black Lexus sedan roaming the streets of Cambridge wouldn’t ordinarily draw a second glance. But with a spinning laser-scanner and an array of other sensors perched on the roof, and a long black cable snaking into the trunk, this particular car had pedestrians in Kendall Square on Friday pulling out their smartphones to snap photos. The vehicle is thought to belong to the recently formed Toyota Research Institute, a division of the Japanese automaker that is exploring the future of transportation — and some experts say it could be a prototype of a self-driving car. There was a driver behind the wheel in Kendall. Toyota, which makes the Lexus brand, announced the new network of research labs last November, and has committed up to $1 billion in funding for them over five years. Overseeing the initiative is Gill Pratt, a one-time MIT and Olin College professor. One of the new Toyota labs is in Cambridge, and it includes a one-story building on Hampshire Street where the black Lexus is often parked inside a chain link fence. There’s no Toyota signage on the building’s exterior. After viewing photographs of the Lexus, Ryan C.C. Chin, an MIT Media Lab researcher who is also CEO of a self-driving car startup called Optimus Ride, said via e-mail, “It’s definitely a self-driving prototype. It looks like it has all the sensors it needs to do self-driving, as well as mapping for self-driving,” meaning that it can gather data about the local environment for later use. John Hanson, a spokesman for Toyota Research Institute, said the vehicle seen in Cambridge has the “same kinds of sensors” that would be used to “perform high levels of driver assist,” but today it is only gathering information about the local roads. “It’s a smart car that’s trying to get smarter about its external environment,” Hanson said. The research institute now employs about 100 people at its sites in Cambridge, Silicon Valley, and Ann Arbor, Mich., Hanson said. Eric Krotkov, a former robotics and machine vision consultant, leads the Cambridge lab. In May, the institute hired a director of public policy and government affairs, Jane Lappin, who previously worked in Cambridge for the US Department of Transportation. Is it legal to test a self-driving vehicle on the streets of Cambridge? Brian Noyes of the Massachusetts Technology Collaborative, which has convened discussions about creating testing zones, says he does not know of cities or towns that explicitly allow testing yet, aside from a project announced late last year between Audi and Somerville involving self-parking vehicles and vehicles that can communicate with traffic signals. But Tom Ryden, executive director of the trade group Mass Robotics, said that people may be testing self-driving vehicles on local roads without explicit permission, perhaps with a human still in the driver’s seat to punch the brakes or take the wheel if something goes wrong. Toyota’s Hanson said all testing abides by local regulations. This could be a prototype of a self-driving car.